1949. 1276 pages. Pictorial jacket over blue cloth boards. Mild foxing and tanning to text block and fore edge. Pages are clean and firm. Noticeable scuffing, rubbing and bumping to surfaces and edges. Moderate sunning to spine and boards. Moderate sunning to spine and boards of jacket, with mild rub wear. 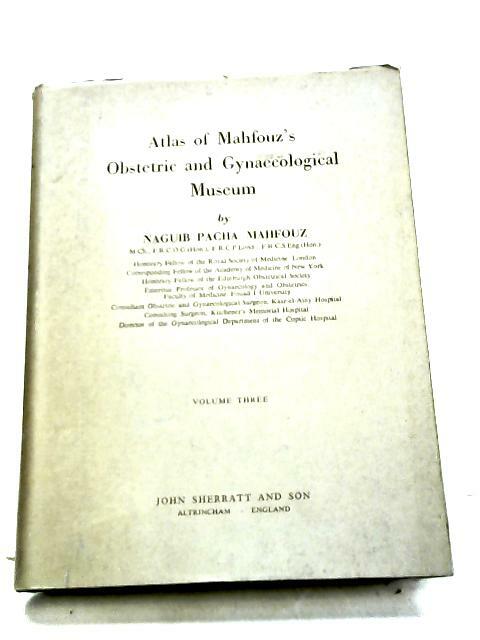 Atlas Of Mahfouz'S Obstetric And Gynaecological Museum.